congatec AG recently announced an addition to its Qseven family. The conga-QA4 module includes the new Intel Pentium and Celeron processors based on 14-nm technology and offers increased energy savings and computing power. The optimized Intel Gen8 graphics, with up to 16 graphics execution units (EUs) and 4K (3,840 × 2,160 pixels) resolution, create a high-quality visual experience. 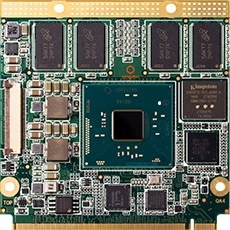 The module comes in three different processor versions (Intel Braswell) for high scalability. They range from the entry-level, dual-core Intel Celeron N3050 with 1.6/2.08 GHz to the quad-core Intel Pentium N3700 with 1.6/2.4 GHz, each with a power consumption of 4 W for standard applications (Scenario Design Power, SDP). With the new conga-QA4 module, you can upgrade Qseven applications to the latest processor technology quickly and easily. The Qseven module comes with up to 8-GB, dual-channel DDR3L memory and up to 64-GB eMMC 5.0 for mass storage. The enhanced integrated Intel Gen8 graphics supports DirectX 11.1, OpenGL 4.2, and OpenCL 1.2. The new hardware-accelerated video decoding of H.265/HEVC requires a 50% lower data rate compared to H.264/AVC, so you can stream 4K videos in real time. You can use the conga-QA4 module for a variety of retail, digital signage, and medical applications, or whenever you need high-performance graphics, outstanding computing power, and passive cooling. 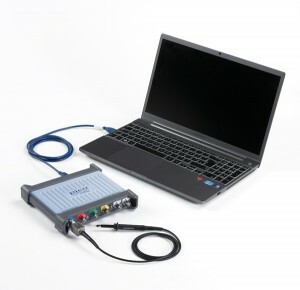 With native USB 3.0 support, the conga-QA4 module provides fast data transmission despite low power draw. Six USB 2.0 ports are available, one of which is executed as USB 3.0 SuperSpeed. Three PCI Express 2.0 lanes and two SATA 3.0 ports with up to 6 Gb/s allow fast and flexible system extensions. The Intel I211 Gigabit Ethernet Controller offers the best software compatibility, while I2C bus, LPC bus for easy integration of legacy I/O interfaces, and Intel High Definition Audio with an 8-channel sound card round off the feature set.